This delightful wall plaque shows a student along with their parents as a low relief sculpture. 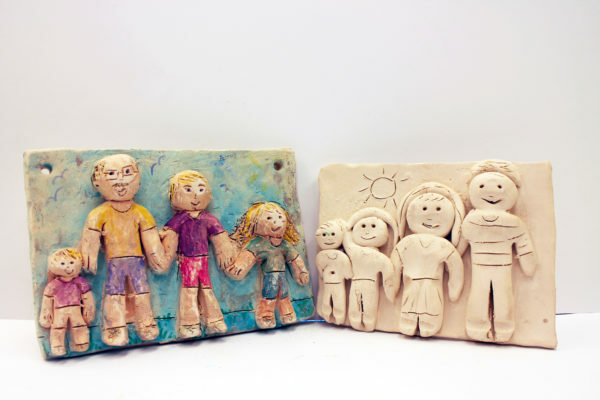 For Grade 5+, you may request a family plaque, where students make their entire family, including pets. Let the registration office know ahead of time.